Each year of the Fellowship begins with an in-person convening at GLG’s offices in New York City or Austin. At the convening, Fellows learn how to use the GLG platform, meet the people of GLG and each other. GLG recognize that both nonprofit and market-based solutions make big impact in the world. A for-profit organization must be mission driven at the very core of its work. Typically, enterprise-operating budgets have been under $500,000/year. For-profit organizations will be asked to disclose ownership structures. beyond the point at which funding is a critical barrier to growth. GLG look for organizations no longer in early development stages and whose leadership is ready to pursue ambitious growth. These organizations have proven the concept of their impact, and implemented their program at initial sites. During the two-year fellowship, participating organizations will be scaling significantly and seeking expertise to build mature operations and informed strategy. The Fellow must understand GLG’s value, can articulate use cases, and be open to GLG and our Council Members as thought partners. They must be relentlessly focused on impact, excited about learning, and open to feedback. This requires that they has developed a team and habits that allows for strategic thinking in pursuit organizational growth. The costs of travel, accommodation and meals are covered by the British Council and the programme is fully accessible. For those who do not gain one of the exclusive places on the programme, applicants will be invited to be part of the Future Leaders Connect Community where applicants can access a range of free online professional development policy and leadership resources. The Programme is open to individuals of the participating countries who meet all the criteria listed below. The participating countries are: Canada, Egypt, India, Indonesia, Kenya, Mexico, Morocco, Nigeria, Pakistan, Tunisia, UK and the USA. Be able to speak English at IELTS level 6 or equivalent (Generally applicants have an effective command of the language despite some inaccuracies, inappropriate usage and misunderstandings. Be based in one of the participating countries. In this case, being ‘based in’ means that applicant currently live in this country at the time of applying and applicants have a long term commitment to that country. their policy vision for change needs to match the country applicants are applying from. Be available to travel to the UK for 11 days around the time of 22 October and 1 November 2018. Alibaba Group and UNCTAD Launch eFounders Initiative. When Jack Ma visited Africa in 2017, he saw a continent facing many of the same challenges that Alibaba had managed to overcome in the last 15 years in China. eCommerce operations flanked by payments, logistics, tourism and big data platforms are starting to take shape and create value in unique markets across Africa and the rest of the developing world. 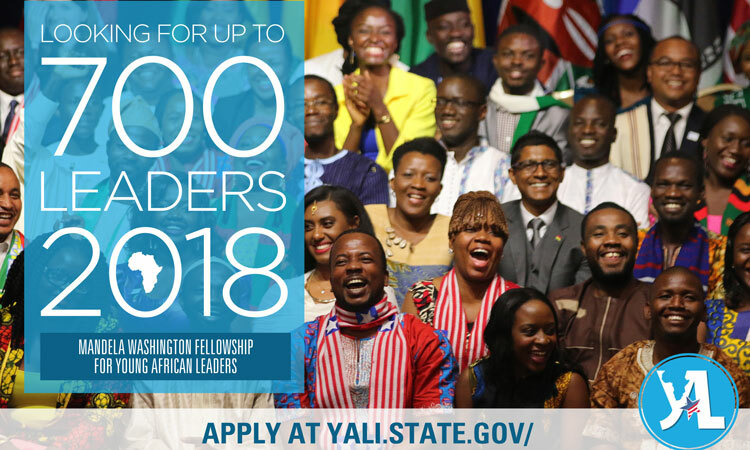 Sponsored by Laureate International Universities, the Laureate Global Fellowship is one of YouthActionNet’s 23 national/regional youth leadership institutions worldwide, whose fellows shape our network of nearly 1700 youth driving change in over 90 countries. We encourage applications from youth representing all countries, genders, education levels, races, religions, and social impact areas. We believe the diversity of experiences across fellows in each cohort is a vital factor in shaping the open-minded learning community that’s central to our approach. Meet the 2017 class.